يشكل Chaparral Motel بموقعه الممتاز في المدينة نقطة انطلاق جيدة لاستكشاف أفضل ما فيها من معالم ومناطق نابضة بالحياة. لا يبعد الفندق كثيراً عن مركز المدينة، فهو يقع على بعد منها. في حين يستغرق الطريق منها إلى المطار حوالي دقيقة. يوفر العقار بفضل موقعة الجيد وصولاً سهلاً إلى أهم معالم المدينة.
. إن Chaparral Motel حريص على توفير الراحة للنزلاء، فلا يوفر الموظفون جهداً في تقديم أفضل الخدمات وضمان حسن الاستقبال. هذه بعض الخدمات الموجودة في هذا الفندق: واي فاي مجاني في جميع الغرف, مرافق مخصصة لذوي الاحتياجات الخاصة, واي فاي في المناطق العامة, صف السيارات, مكان مخصص للتدخين. تتضمن كل غرف النزلاء وسائل الراحة والتسلية المصممة خصيصاً لضمان الراحة القصوى للضيوف. يقدم الفندق العديد من الفرص للاستجمام كمثل حمام سباحة خارجي. 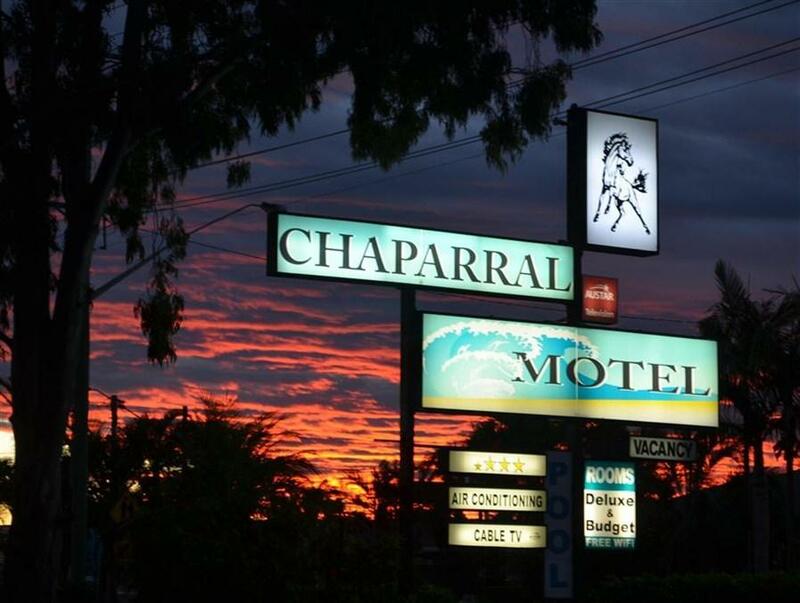 مهما كانت دواعي سفرك فإن Chaparral Motel هو خيار ممتاز لإقامتك في المدينة. Staff addressed the air con not working and moved to another room as requested. Clean and comfortable. 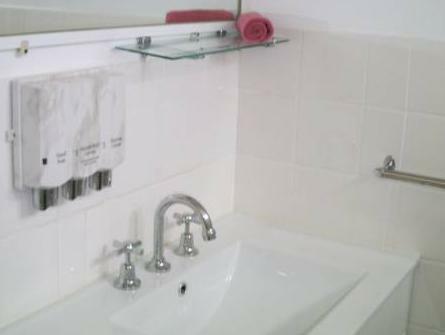 Liked the toiletries available in bathroom. Very comfortable bed. All was good with accommodation however we were let down by Agoda. Despite having booked and had confirmed a Deluxe Queen and Single Room upon arrival it was found that your advice to motel was Deluxe Queen. Good motel with all needed amenities. Good shower pressure, clean room and nice breakfast. Clean bright and cheerful, easy access to nearby restaurant, downside possibly highway traffic but did not worry us. definitely 3.5 star plus. We stayed for one night, room was very clean with some lovely pops of colour which were very tasteful. Location was perfect for us, great meal was had at the Westower Tavern. My criticism was the WIFI was basically non existent, as signal strength was poor and air con struggled a little bit overnight due to the humidity, but overall was a good motel to stay at. was OK for one night stop over! one con was people leaving early slamming car doors and talking outside my room! guests behaviours isn't a responsibility of the motel so can't hold them responsible for that! 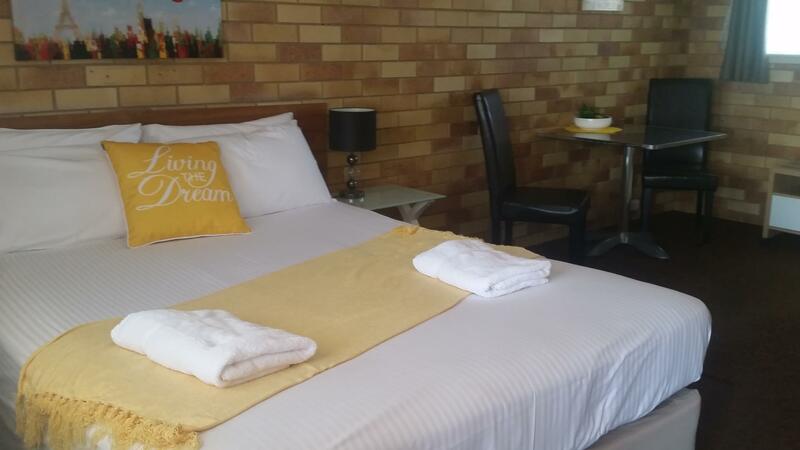 Room was clean and motel is within walking distance to a array of restaurants and tavern! would stay again! We arrived very late and they left our keys in the safe. 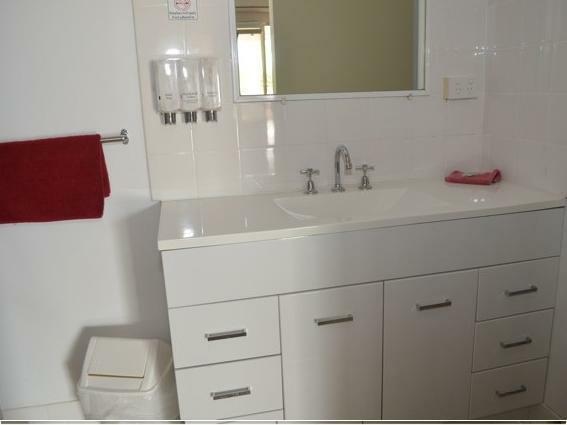 Room was clean as well as bathroom. Great location. Room was perfect for an overnight stay. 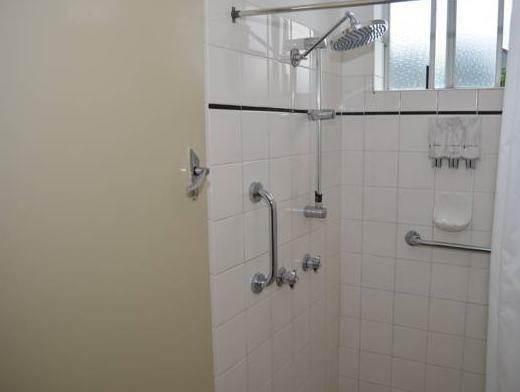 Loved the shower head. Bed was comfy. Only problen was ceiling fan switch faulty only worked on full speed or off.. Owners very obliging (thank you!) giving us an early check in due to a wedding. 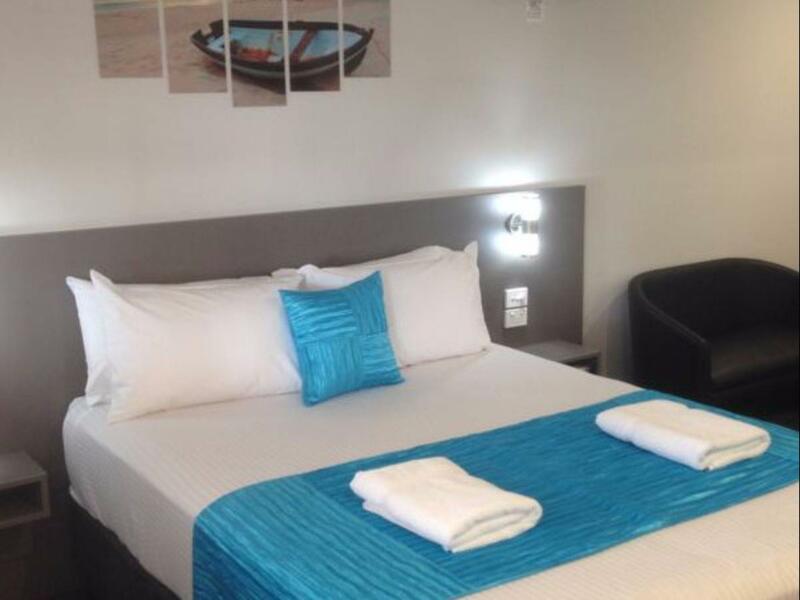 I got surprised when I arrived, the staff are very friendly and the room was well cleaned and comfortable. There are people who do not care about this, but I liked it, and for those who care as I do, there is the tip. They have a simple and pretty cool breakfast, just order it the night before at reception. And for those who like a practical coffee, there are 3 types of coffee and cappuccinos, that one in packs, when you arrive they ask if you are interested in a hot milk to use with the coffee. Super easy to find, on the main street, next it there is a very good pub as well. good location ie easy to find, but a bit noisy in the early morning. Liked the off street, undercover parking, nearby fish shop and hotel closeby.. Excellent value for money. Very clean rooms. Older style but tastefully decorated. Quite a comfortable room (chose downstairs). 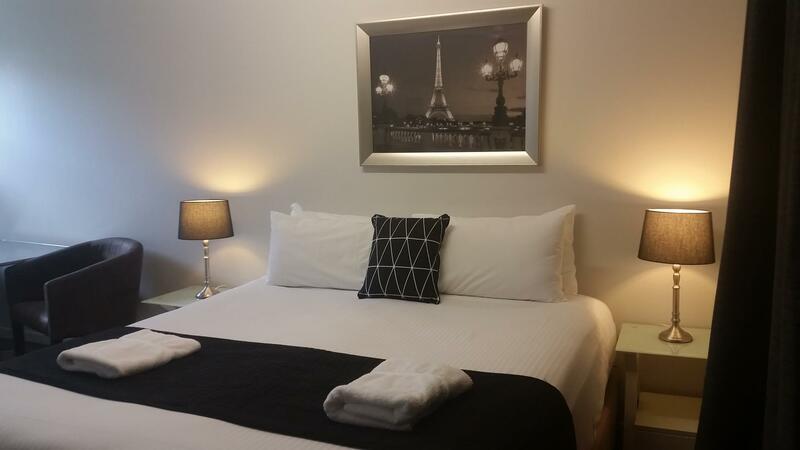 Location good, on main road into Ballina from the south, in walking distance to local Tavern for evening meal. Relatively quiet - due to Ballina by-pass.